We are extreme fans of the clothing brand Goopi Made. They keep us enthusiastic knowing that clothing brands are still exploring and bringing functional and quality products to the market. 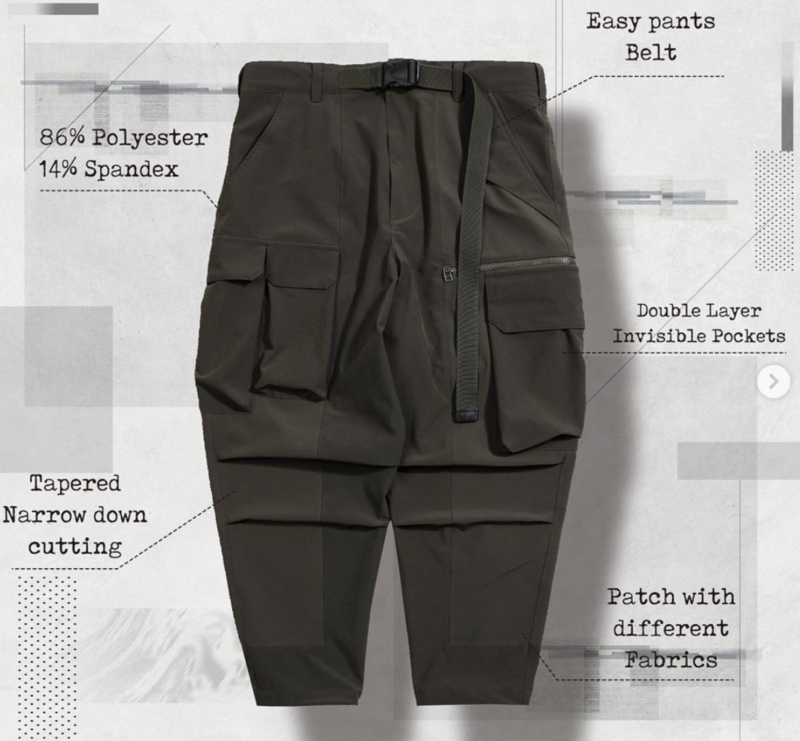 With the recent 'Project x'- reconstruct/deconstruct release, the 'Irregular Military Pants,' co-created with Alien Evolution Studio is our must have product. The cargo pants come in two colors from the collection, olive green, and black, made with two different types of functional fabric making the pants comfortable. Loose-fitting cut, breathable waterproof four elastic woven poplins, and ripstop fabric as the main fabric, 86% polyester, 14% spandex. Built-in elastic, and easy pants belt that can be fine-tuned to your personal demands on size range. Big pocket army pants design, and double layer invisible pockets. The pants are tapered and made to fit narrow or wide, patchwork on the back of the pants, with military woven fabric. Keep in the loop and view more of Goopi’s products on their INSTAGRAM.